Dramatic changes are needed in order to succeed in Afghanistan and Pakistan. Almost daily, the people of the region experience deteriorating security and a worsening economic situation. At the same time, Afghans and Pakistanis will both be making tough political choices in the coming months, and the United States and major allies are in the midst of multiple policy reviews. The appointment of Ambassador Richard Holbrooke should provide the opportunity to transform the current approach into one that has clear goals and a compelling narrative. 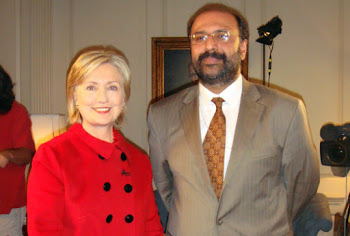 Afghanistan and Pakistan on the Brink is the result of a 200 person conference, held on November 21, 2008 at the Center for Strategic and International Studies (CSIS) and co-organized by the Institute for National Strategic Studies (INSS) at the National Defense University (NDU). The event included participants from all parts of the U.S. government. (See agenda in Appendix A and participants in Appendix B). The report is divided into three sections: 1) Policy Challenges; 2) Assumptions; and 3) Recommendations and Policy Options. Afghanistan and Pakistan pose some of the most complex challenges imaginable. All parties have struggled with: 1) formulating and implementing an integrated strategy across U.S. government agencies, and with international and local partners; 2) understanding the evolving situation on the ground in both countries, especially in the gray zones (or "ungoverned spaces"); and 3) managing civilian political and economic development programs in dangerous, conflict environments. 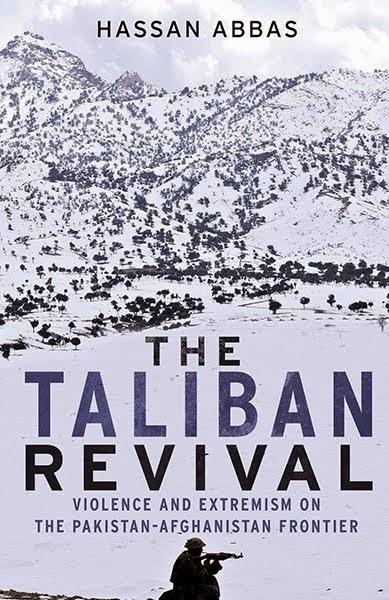 Afghanistan is no longer the safe haven or base for the al Qaeda network (though they still maintain a presence) and it is unlikely that a major attack on the United States will come from that country in the near future (p. 11). The NATO allies do not all share U.S. priorities, thus the mission in Afghanistan will continue to be opposed by the publics of some of the top contributing allies. Significant increased force deployments or rules of engagement that are more flexible are unlikely in the near term (p. 12). Pakistan will not eliminate Taliban/al Qaeda sanctuaries or develop a rapid political solution for the governance problems in the tribal regions. The Pakistani government is not likely to devise a workable political-military strategy and doctrine or build the necessary public support to deal with counterinsurgency in the near term (p. 12). Extremism could well spread into other parts of Pakistan as provincial issues are not addressed and economic pressures increase. Greater U.S. and NATO military efforts in southern Afghanistan may generate a spillover into adjacent areas of Pakistan (p. 12). It will not be enough to make incremental improvements. Small increases in troops, improved diplomacy, reduced corruption, and a flush of economic assistance will be insufficient. The publics of Afghanistan and Pakistan have been losing confidence for more than two years, and it is necessary to make more dramatic changes in order to gain their full participation and ownership of the challenges (p. 11, 13). Simplify and clarify the overarching goals to develop a sense of common purpose. The people of Afghanistan and Pakistan must believe that their safety and well-being will be advanced by fighting the insurgents/terrorists and stabilizing the region. Their allies must see targets achieved within reasonable periods. Shared goals, in turn, will enable all parties and partners to develop the appropriate strategy, realistic objectives, and measures of success, as well as secure the necessary resources (p. 13-14). Secure a three-year military and economic commitment from the allies and signal to the Afghans that the military commitment is not open-ended, although the financial commitment will continue. The 134,000-soldier target strength of the Afghan National Army by December 2011 is consistent with this timeframe. Ensure that the elected governments of Pakistan and Afghanistan accept leadership responsibility (p. 4, 14-16). Focus the vast majority of the effort (70-80%) in a few provinces (in both Afghanistan and Pakistan) and seek to build governance wherever it is promising, from select ministries to governors, local village, city, and civil society leaders, women's groups, and public servants, such as teachers, judges, and police (p. 15). Success can be achieved with a clear direction and goals, the assumption of responsibility by all parties, and regular and open information flows directly to the people of the region and to allied nations.